KUALA LUMPUR: Next month’s All England will be a true litmus test for the national and independent shuttlers. After the opening tournaments this season, Malaysian shuttlers can expect a stiffer challenge as the best players in the world are all set to play in Birmingham on Mar 6-10. Men's doubles Aaron Chia-Soh Wooi Yik should try and make the best of their draw as they look good to at least reach the quarter-finals. The World No 19 will open their campaign in the U$1 million (RM4 million) tournament against Taiwan's Lu Ching Yao-Yang Po Han and are expected to face Denmark's Kim Astrup-Anders Skaarup Rasmussen in the second round. Should Aaron-Wooi Yik reach the last eight stage, they will likely face World No 1 Marcus Fernaldi Gideon-Kevin Sanjaya Sukamuljo of Indonesia. Ong Yew Sin-Teo Ee Yi, who reached the final of the Malaysia Masters last month, however, are not as fortunate as they are up against fourth seeds Hiroyuki Endo-Yuta Watanabe of Japan in the opening round. 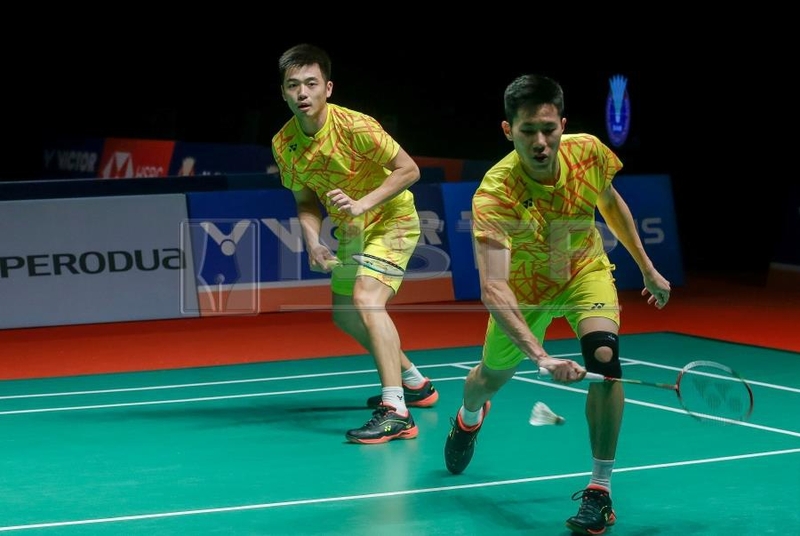 Should they upset the Japanese, Yew Sin-Ee Yi could face former seniors Goh V Shem-Tan Wee Kiong in the second round. V Shem-Wee Kiong, who quit the BA of Malaysia, are also in for a tricky opener but should get past Indonesia's Berry Angriawan-Hardianto Hardianto. In the mixed doubles event, 2017 finalists Chan Peng Soon-Goh Liu Ying are also expected to reach the quarter-finals. Barring any upsets, the Rio Olympic Games silver medallists could once again face Japan's Watanabe-Arisa Higashino in the last eight. After capturing the Thailand Masters title in January, Peng Soon-Liu Ying were knocked out by the Japanese duo in the semi-finals of the Malaysia Masters. National No 1, Goh Soon Huat-Shevon Lai also stand a fair chance of making the quarter-finals. They play Indonesia's Ronald Ronald-Annisa Saufika in the first round and are slated to take on seventh seeds Marcus Ellis-Lauren Smith of England in the second. Also in the bottom half of the draw are Tan Kian Meng-Lai Pei Jing, who will face second seeds Wang Yilyu-Huang Dongping of China. In the women's singles event, national No 1 Goh Jin Wei is expected to beat Japan’s Sayaka Takahashi in the first round for a likely encounter against former world champion Nozomi Okuhara in the second. Soniia Cheah plays another Japanese Aya Ohori in the first round. In the men's singles event, World Championships bronze medallist Liew Daren takes on Thailand's Suppanyu Avihingsanon and is expected to face World No 2 Shi Yuqi of China in the second round.